Product categories of Single Digit LED Display, we are specialized manufacturers from China, Single Digit Led Display, Led Display Screen suppliers/factory, wholesale high-quality products of 7 Segment Led Display R & D and manufacturing, we have the perfect after-sales service and technical support. Look forward to your cooperation! "Shen Zhen Exceed Electronic CO., LTD" was established in 1999. 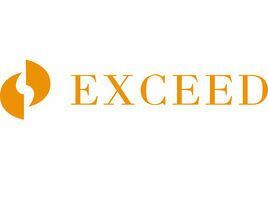 Exceed Electronic has thrived to be one of the leading manufacturers and exporters of LED products. Our business range mainly covers LED Light, Led Lamp , High Power LED Light, High Power Big LED Bulb Light, LED Panel Light, LED Ceiling Light, Led Tube Light, Eye Protecting Led Table Lamp,Body Sensor Led Bed Light ,LED Digit Display, LED Dot Matrix,etc. Single Led Digit Display is a kind of semiconductor light emitting device, the basic unit is led. These devices segments and surface color are available.